NordVPN vs PureVPN – Which one is better than the other? There are hundreds of VPN services out there that market themselves as the best are they really? Not quite, because the Top VPN services need to be exemplary in their performance, availability of features, credibility and reliability. Two such services are PureVPN and NordVPN, which are among the Best VPN providers in the industry at the moment. Today we pit them against each other in rare, feature by feature comparison, to find out which one is exactly leading the path towards providing the most exemplary service among them. This is a Best vs Best review, so don’t miss out on it will give you a great idea on how the Best VPN services in the industry are run and what exactly keeps them a notch above the rest. PureVPN and NordVPN are two of the Top VPN services in the market, so its obvious that both of them have very minute differences between them. The basic features that they both provide are of equally exemplary quality and the performance level inhibited by them is also immaculate. When comparing these two services, the review went neck to neck and that’s it so hard to go forth and pick a winner among the two. PureVPN is a VPN service that packs a punch with its inexhaustible list of features which include everything from military grade encryption to unblocking capabilities. But what sets this provider apart from the rest is that it offers something for every user. Need a Dedicated IP? PureVPN offers one. Need to route only some of your traffic through the VPN? PureVPN offers Split Tunneling for that. So there is no dearth of feature options at PureVPN making it a highly compatible VPN to suit all kind of diverse user needs. On the other hand, NordVPN focuses more on security and anonymity. This VPN is renowned for one of the biggest server infrastructures in the industry, with 4000+ servers across the world and along with that, it offers faster speeds and extra security features like Onion over VPN to make its mark as a truly privacy oriented VPN service. When it comes to pricing, no one is more budget friendly than PureVPN. And that’s not just when we compare it to NordVPN, but the same holds true across the VPN industry. No one even comes close to matching PureVPN’s dirt cheap vpn plans, especially among the Top VPNs in the industry. The monthly subscription might be a bit overpriced, but it’s the 2-year and the 1-year subscription prices that allow it to really own the tag of being budget friendly. At just over 2.95 dollars a month, you can secure access to one of the best VPN services in the industry. But that doesn’t mean that NordVPN is expensive as it certainly isn’t, especially when you compare it to similar VPN services like ExpressVPN and Torguard. Its pricing plans are within the affordable range, probably not dirt cheap, but still highly considered for the average VPN user. Its yearly plan is its best plan and is recommended for users who want to sign up for the service, however, the half-yearly and monthly plans are a bit too expensive for our liking and they should come to a notch down if NordVPN wants to make its plans attractive to all kinds of users. Since both of these services are top of the line, both possess all the basic features that a Best VPN should have like military-grade encryption, Kill Switch, compatible apps, live chat support, Onion over VPN, Dedicated IPs, Smart DNS, Netflix US unblocking capabilities and more. But there are two major differences in features between both these VPNs. Firstly, PureVPN doesn’t offer a full fledged, zero commitment free trial like NordVPN does. We are not talking about the conventional 30 day refund period but a 3 day fully free trial that only NordVPN offers. PureVPN on the other hand, offers split tunneling, a one of a kind, extremely necessary VPN feature these days that allows users to selectively route their internet traffic through the VPN. This provides the user with greater control over how it wants its service to serve its internet connectivity. Verdict: Even Stevens, NordVPN and PureVPN, both of them offer features which the other doesn’t own, so we would like to call it a draw here. This one is a bit tricky again, as both of these VPNs are ahead of the other in some areas related to the server infrastructure. NordVPN’s total server count is a whopping 5100 servers worldwide. No one even comes close to that count, not PureVPN, neither any other similar service. But PureVPN offers much more locations, 150 to be dead exact, providing users with a much better geographical reach and choice when it comes to selecting a location for the server they wish to connect to. But one thing remains common between the two providers i.e. their server performance is immaculate and both of them are incredibly reliable enough to unblock geo-restricted streaming sites like Netflix US, Hulu, BBC iPlayer and more. They are also highly optimized for supporting fast speeds for streaming and rarely do they both go down anytime. 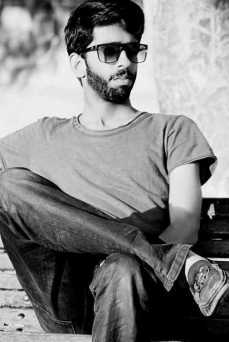 Both of them also offer dedicated servers for torrenting and P2P activities. Verdict: PureVPN is leading here, not exactly winning, but leading definitely and that’s because it offers more locations for its servers than NordVPN, which is more useful than offering a lot more servers in it. Again, as both of these are top services, checking their speed capabilities is a no brainer as both of them offer excellent speeds irrespective of what activity you are indulging in. Usually, we test speeds for streaming sites and for servers that are situated the farthest away from our existing location to give you a fair estimate of how fast the VPN servers of a provider actually are. And here, both of them are proudly providing speeds that, even after the usual throttling that accompanies using a VPN, are perfect for all range of activities that you might want to indulge in. Verdict: Both are at par here when it comes to checking their respective speeds. For us a VPN’s performance implies the resilience of its features and the extent of reliability that the provider offers. And since both of the VPNs in question here are top notch, the degree of difference between their respective performance levels will be minute but definitely discernible. So lets start with NordVPN. We have already talked about the speeds, server counts etc, and that this VPN is a high grade VPN, it’s a given that its basic features like military grade encryption or unblocking capabilities perform exceptionally well. There is just one issue with performance when it comes to NordVPN and that’s its patchy performance over a slow internet connection. When your speeds are upwards of 10 MBPS, NordVPN is great, but a tad bit low beyond that level and NordVPN will give you hiccups and the features wont respond well. At PureVPN, the service doesn’t have the same problem when it comes to working on slow speeds, but it is plagued by its elongated periods of downtime. They occur rarely, maybe for 2 hours each month, but they are a performance issue and we need to mention it here. Verdict: NordVPN is a bit ahead on this metric as downtime is something that is more frustrating for the end user than a bit patchy performance when the speeds are bit low. Offering a wide list of dedicated VPN clients, not just for popular OS and devices, but also for niche devices has become one of the most important factors that weigh in on the success of a VPN these days. This is because, there are now a vast of number of devices for which users need a VPN service for, for e.g. Chromecast, Kodi, Roku etc, and while manual VPN configuration can be done on all such devices, the availability of a VPN client provides immense ease to the end user. PureVPN is leading here because it offers a much better array of VPN clients and compatibility with exactly such niche devices for e.g. it offers a dedicated app for Firestick while NordVPN still doesn’t offer one. 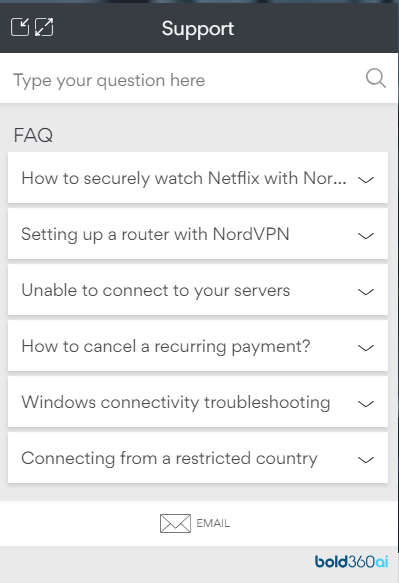 The same goes for other platforms like Kodi, where PureVPN provides exclusive guides for using its service on the platform, but NordVPN seems to be paying scant attention to it. Verdict: PureVPN, by a distance, definitely. When it comes down to ease of user, we can say that both of them have gone to great lengths to ensure that their service remains user friendly at all stages. Whether it is buying a plan, downloading an app or even connecting to different servers, you wont have much of a problem in accessing anything on either service. No need to go into details here as this criterion is pretty much self-explanatory. Customer support is essential towards solving user queries relating to troubleshooting and other problems that might be encountered during the usage of a service. Understanding a lot of facets of VPNs like installation or website unblocking can be quite confusing for newbie users, so providing extensive support becomes an indispensable facet of a user friendly VPN service. 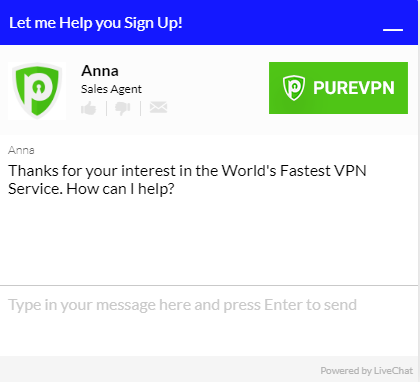 PureVPN here is leading by a big margin as it offers direct live chat support where nearly all kinds of queries can be resolved almost instantaneously by talking to a support executive. Its fast and its streamlined. But NordVPN takes a different route here, as if you open its chat support, your question will be responded by a series of relevant articles. You can talk to its customer support executive as well but that’s a lengthy process here at NordVPN, making it feel a bit impersonal and cumbersome. After thoroughly reviewing all aspects, we have declared PureVPN to be a winner here, mainly because it leads on more fronts in a head to head comparison as compared to NordVPN which needs to make up for less VPN client offerings, higher prices and lesser features to come at par with PureVPN. 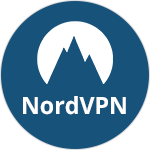 NordVPN is definitely good on a lot of counts as well and is definitely one of the Best VPNs out there, but it needs to diversify a bit and become more “Modern” in order to usurp PureVPN from its current position. The criteria for declaring the winner here depended on all round review of all of the service’s spectrums and how well these services are built to provide users with maximum benefits. From price comparisons to speeds to even server count, we took into account nearly all factors before declaring a winner. A more detailed an in depth analysis would have contained more technical things like Web RTC leaks, gaming servers and their lag times etc but this comparison was a bit more oriented towards what the average user requires in a VPN. We will surely conduct a more in-depth comparison review soon and maybe its results might be different from this one, but here, PureVPN is leading the roost. PureVPN and NordVPN are top notch services and they are a whole lot better than most VPNs in the industry at the moment, and that’s because, despite their shortcomings, they still perform feats that most other VPNs fail in, like Netflix US unblocking, offering thousands of servers, dedicated IP and Smart DNS services among others. So if you are a newcomer to the VPN arena, choosing either of these services would serve you well on a lot of accounts, but if you are looking for something extra, then this review of PureVPN vs NordVPN is perfect towards suiting your needs.